Wool sculptor, Gin Blische has created a community of woodland creatures who are caught off guard when a big wind sends them on an adventure! Stop by the free Opening Reception on Friday, March 15 at Artisans On The Ave and meet Gin as well as the other artists in this gallery! Gin’s needle-felted sculptures are one-of-a-kind and each has its own personality. The Rickie Report shares the details and a sneak peek. A community woodland creatures are caught off guard when a big wind sends them reaching for any anchor they can get their feet into! You’re invited to a fantastical felted world created by wool sculptor, Gin Blische. 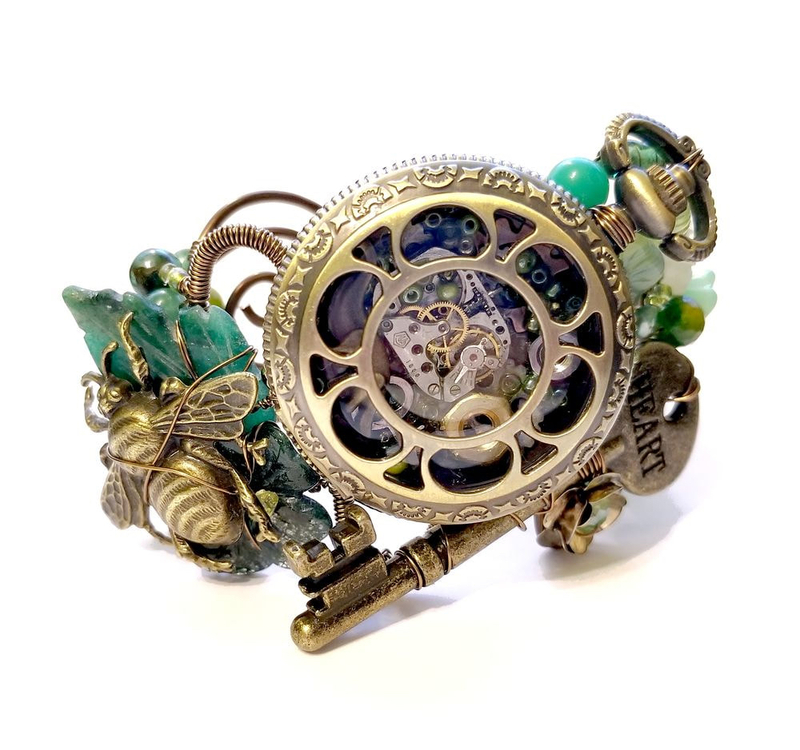 “The Briar Wind” will enchant anyone with whimsy in their heart and forest life in their soul! 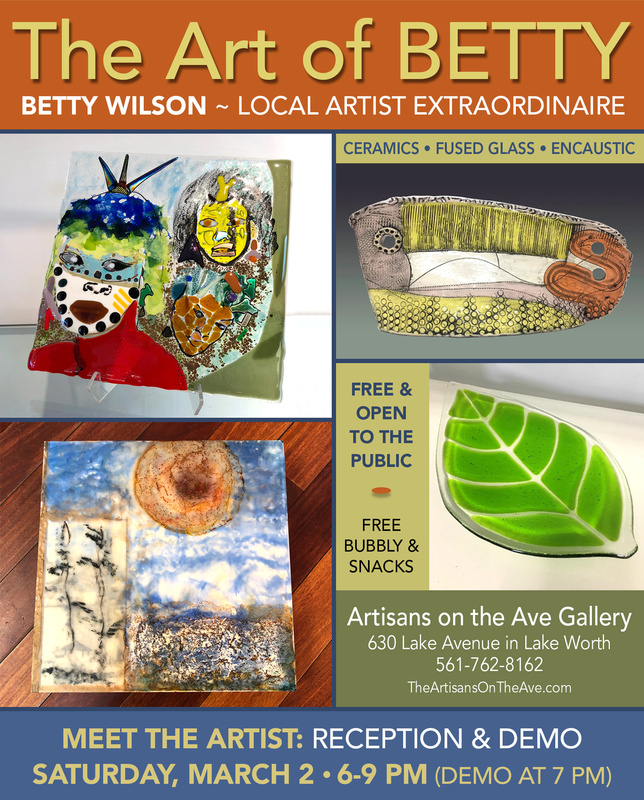 Betty Wilson is one of those artists whose creativity is always evolving, evidenced by the variety of mediums she has explored. From sculpted clay and ceramics to fused glass and encaustic wax, this prolific artist spreads joy to all who view her art. You’ll get a chance to see her in action on Saturday, March 2 at Artisans on the Ave Gallery in Lake Worth. The gallery will have a reception with free champagne and snacks. 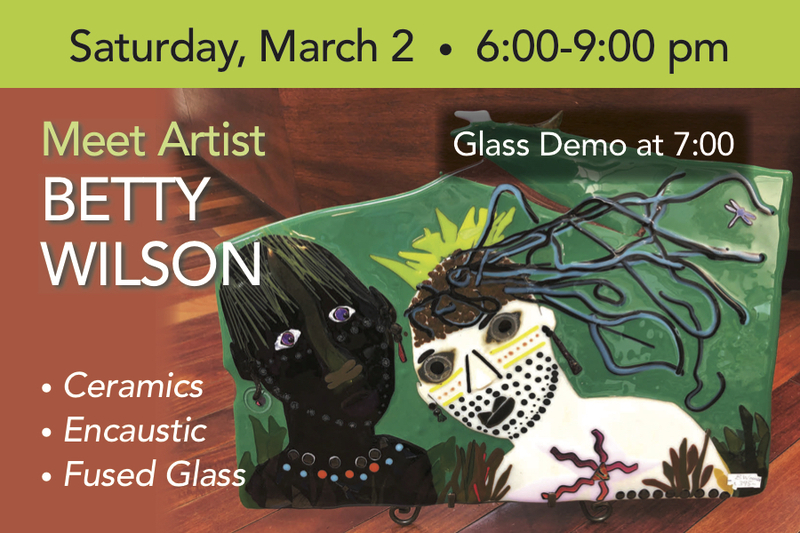 Betty will present a glass demonstration and she’ll share some of her wealth of knowledge about ceramics. Currently one of 40 local artists displaying at Artisans on the Ave, Betty has been with this eclectic gallery for over five years. She sees the Gallery as a great venue for exposing art lovers to the amazing variety of local talent. 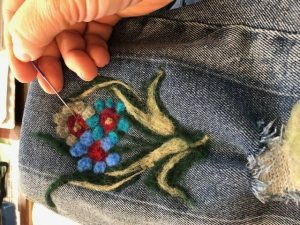 Betty is also the owner of The Craft Gallery on Dixie Highway in West Palm Beach where the Gallery’s workshops allow local artists to share their passion and expertise. Swing by Artisans on the Ave to see Betty in all her artistic glory. You will not be disappointed. The Rickie Report shares the details and some sneak peeks! Currently one of 40 local artists displaying at Artisans on the Ave, Betty has been with this eclectic gallery for over five years. She sees the gallery as a great venue for exposing art lovers to the amazing variety of local talent. Most recently, the gallery has been having workshops and presentations by several of its artists. 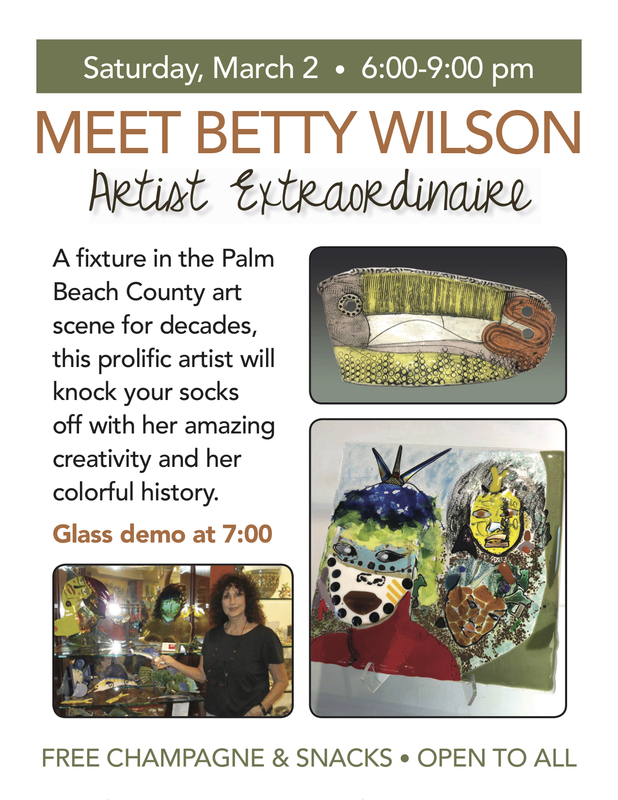 Betty is also the owner of The Craft Gallery on Dixie Highway in West Palm Beach. 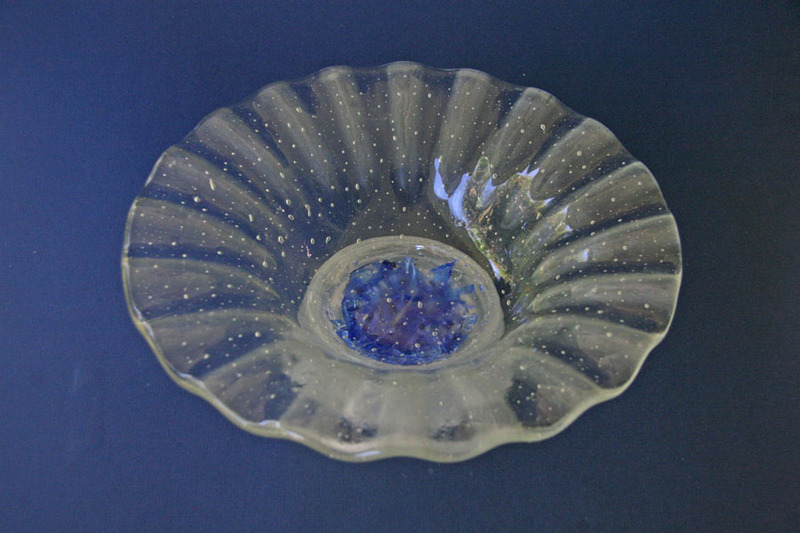 There Betty is able to explore her love of clay and glass and share her knowledge with others. The Craft Gallery offers workshops and classes by a variety of artists and has studio space available for rent by the hour. Betty loves to have local artists share their passion and expertise with others, so her gallery is a great place to expand one’s artistic skills. But, it’s Betty’s history that will give you an idea of just how much of a fixture she is in the local art world. Decades ago Betty had a hand-painted clothing line named “Made Ugly by Me!” – yes, she has a terrific sense of humor! Her next exploration was clay and this self-taught artist worked with other artists to develop her own unique style. 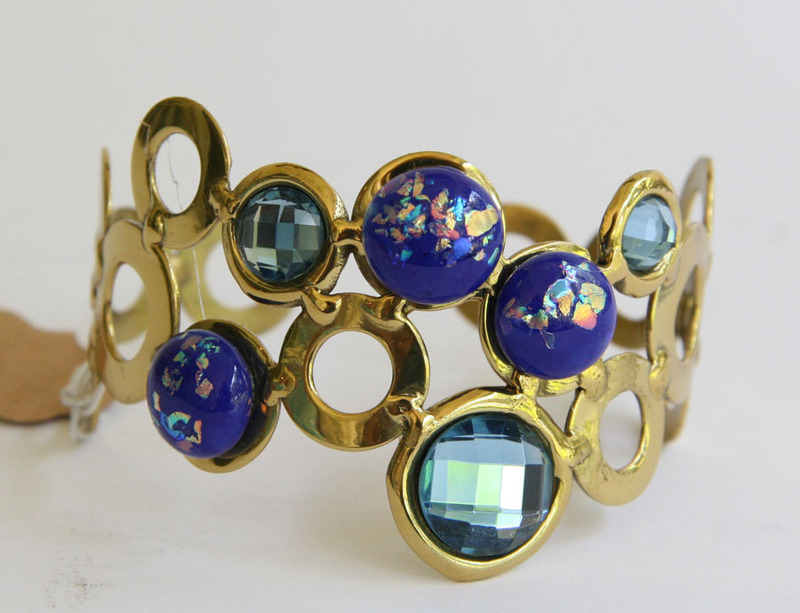 From there she ventured into ceramics, fused glass and encaustic wax, taking workshops from masters of the various crafts. Betty eventually displayed in juried art shows, created art in public places and had a presence in local art galleries. Soon she started her own gallery which grew into several businesses over the years, allowing her to spread the joy of beautiful art. 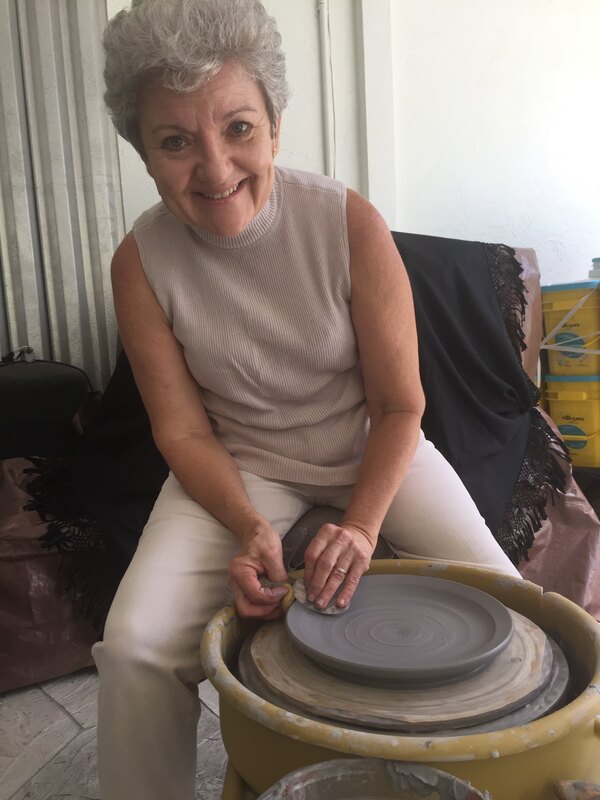 President of the Ceramic League of the Palm Beaches, she also serves on local boards and arts councils. 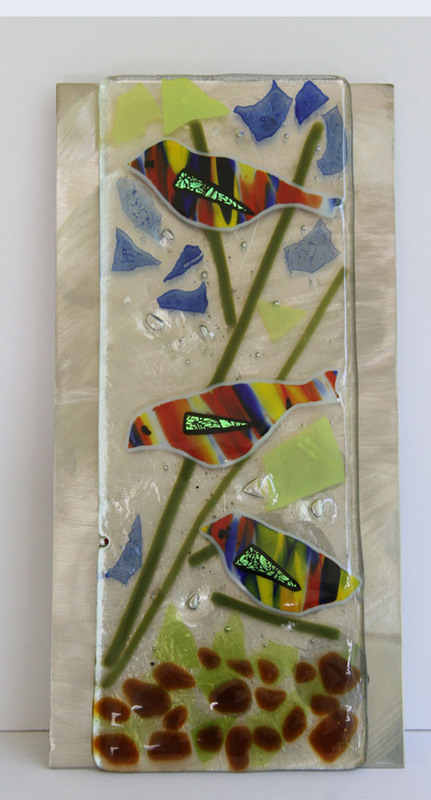 When you talk to Betty about her craft, she sees her fused glass art as an extension of her sculptural clay work. 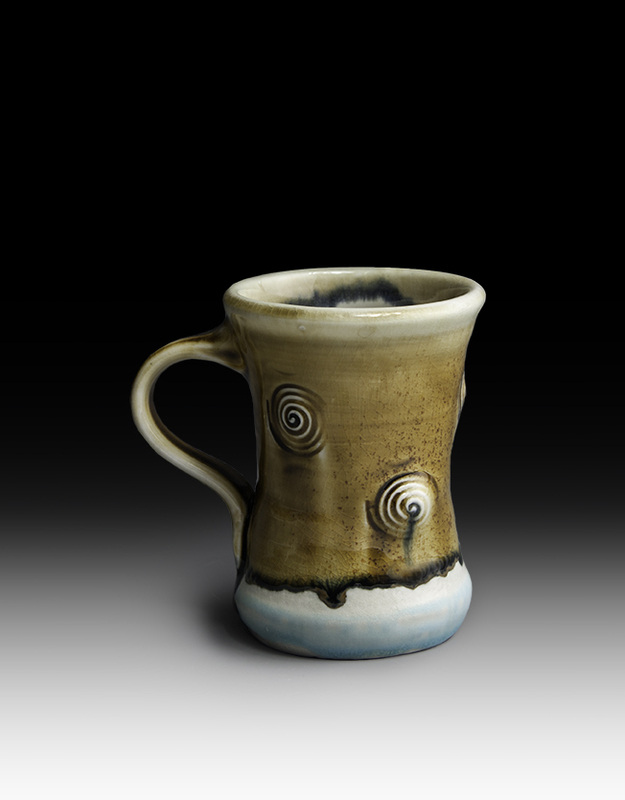 Betty says she loves the textures and exciting interplay of light and color when she peeks into the red-hot, glowing kiln. There she sees the soft, molten liquid melting together in one brilliant form. Her biggest thrill is 15 hours later, when she opens the kiln to see the fascinating and extraordinary design that has taken place. Mixing layers of hand-cut, transparent, opaque and iridescent glass together with a little copper, her designs are truly one-of-a-kind. Betty’s fused glass faces give off so much energy that people say they make them smile. 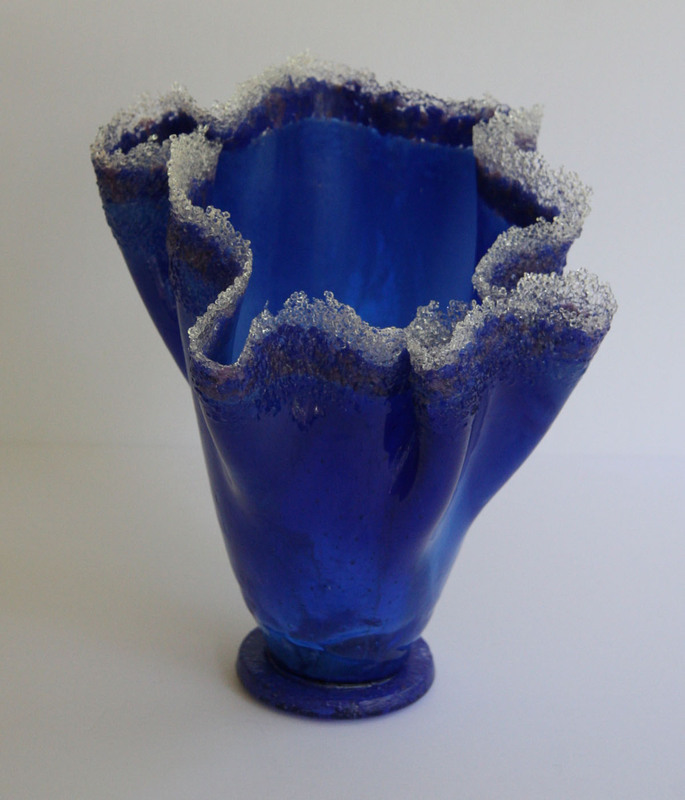 Betty says her work is never about clay or glass. It’s about what the media can do for her art and what she is trying to express. 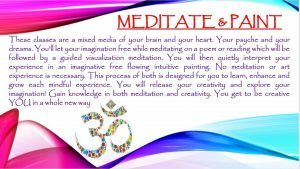 She hopes that others are filled with the joyful light and energy that her art creates. In short, Betty is the light behind her art and she is all about spreading the light – and joy – to everyone around her. Carl Schneider turns discarded and reclaimed pieces of wood into awe inspiring functional and decorative artworks. 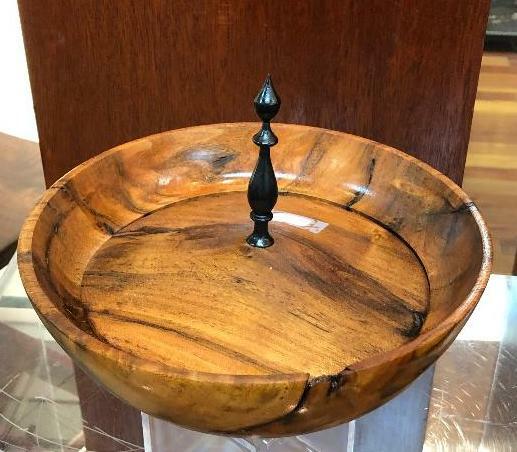 Artisans On The Ave features Carl’s wood artistry at a free reception on Wednesday, February 27. 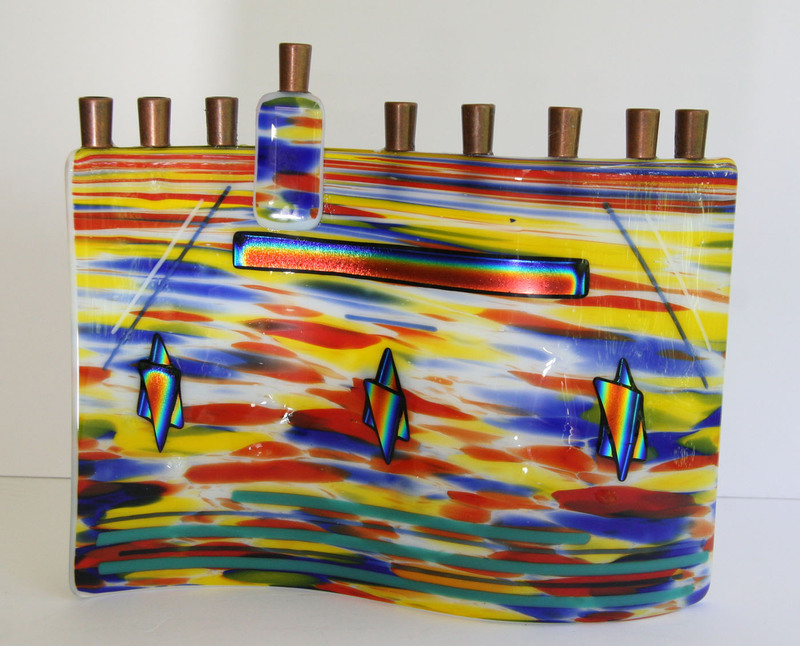 Carl will be speaking about his works as you peruse his varied designs. The Rickie Report shares the details and some sneak peeks. What is wood turning? How is it different from wood cutter? How one can find a piece of wood that will be transformed into a future beautiful vase or a mirror frame? 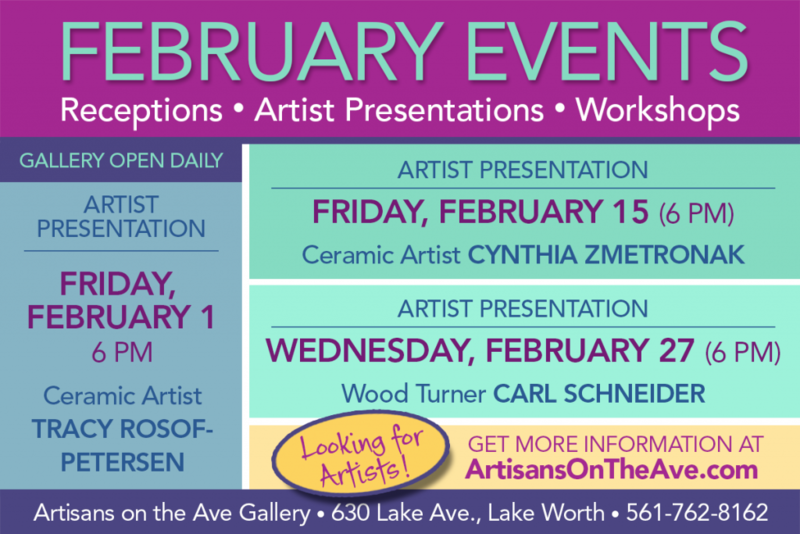 Artisans On The Ave’s wood turner artist, Carl Schneider, will answer all these questions and share some other secrets of his work. Carl loves collaborating with Mother Nature to create useful and beautiful objects from wood. 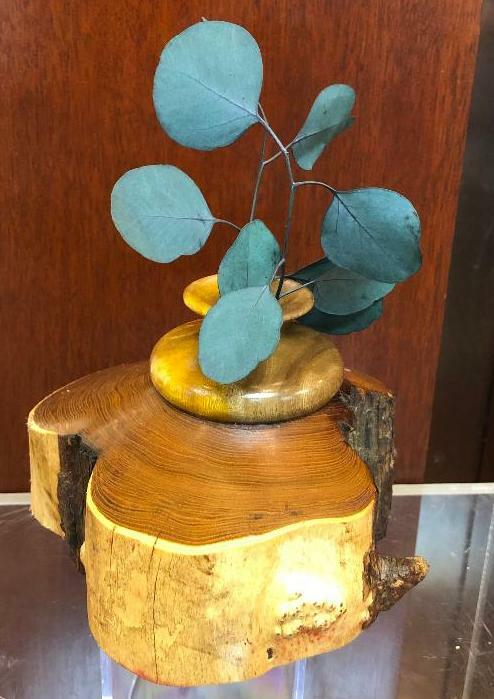 He relates, “These objects combine the art of nature and the nature of the artist.” After trees are cut down for other reasons, artists like Carl extend the trees’ lives by creating objects that people will use, enjoy, and last an eternity. Carl Schneider is a retired electronic engineer. 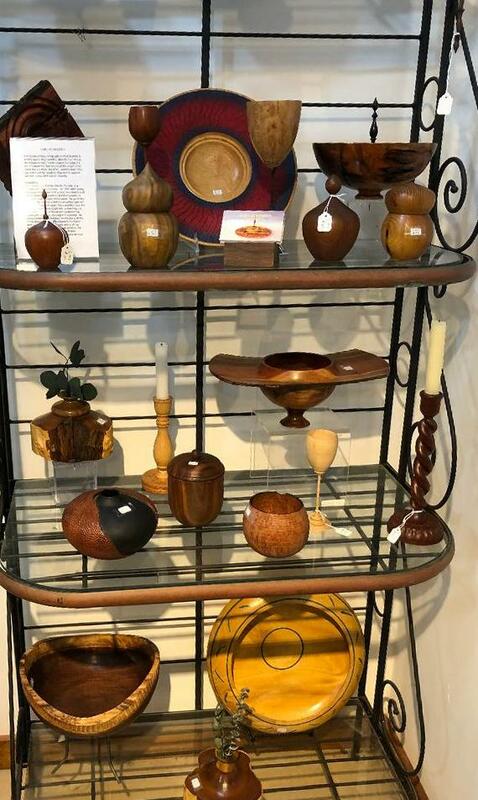 In 1997 after taking a wood-turning class, he became so passionate about wood turning that he joined two chapters of the American Association of Wood Turners! He perfected his skills by attending hands-on workshops with many professional world class wood-turners. 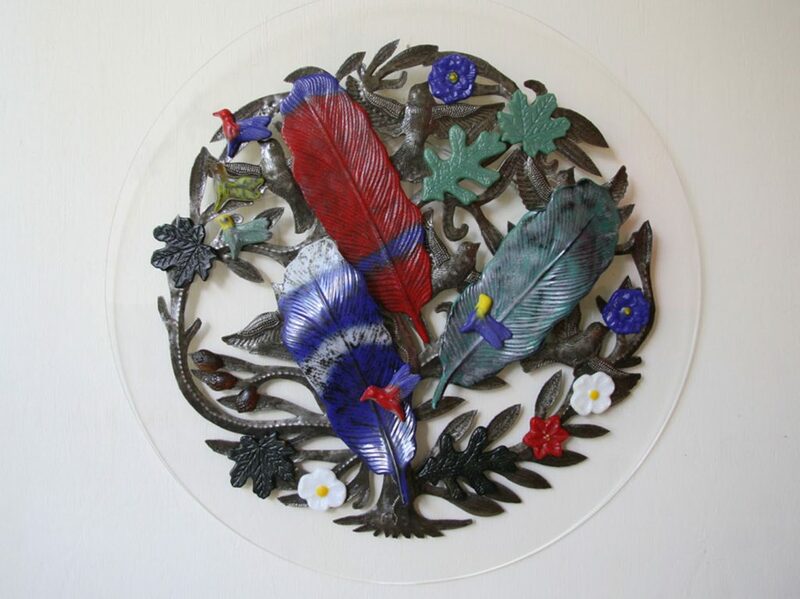 He creates many types of pieces, enhancing the natural character of wood and embellishing them with texturing, carving and coloring. Carl demonstrates and teaches wood-turning at the Palm Beach County Wood Turners workshop and his own studio. 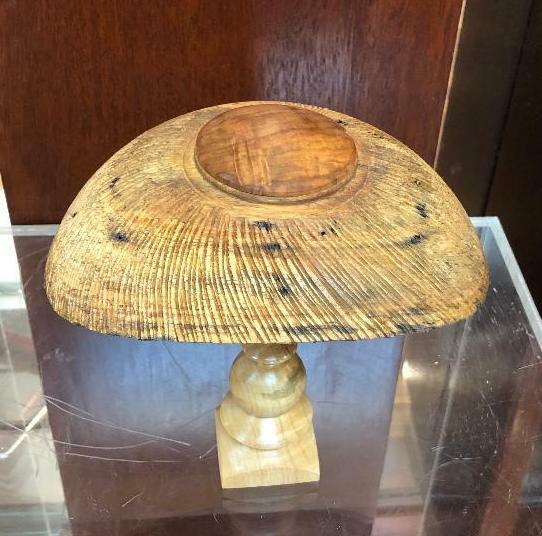 Carl sells many of his turnings and wins awards at art exhibits. Carl has been a member of the Boca Raton Museum of Art Guild and participates at local galleries. Cynthia Zmetronak nurtures her inner ‘mud pie girl’ by creating functional yet whimsical canine and feline pottery pieces. 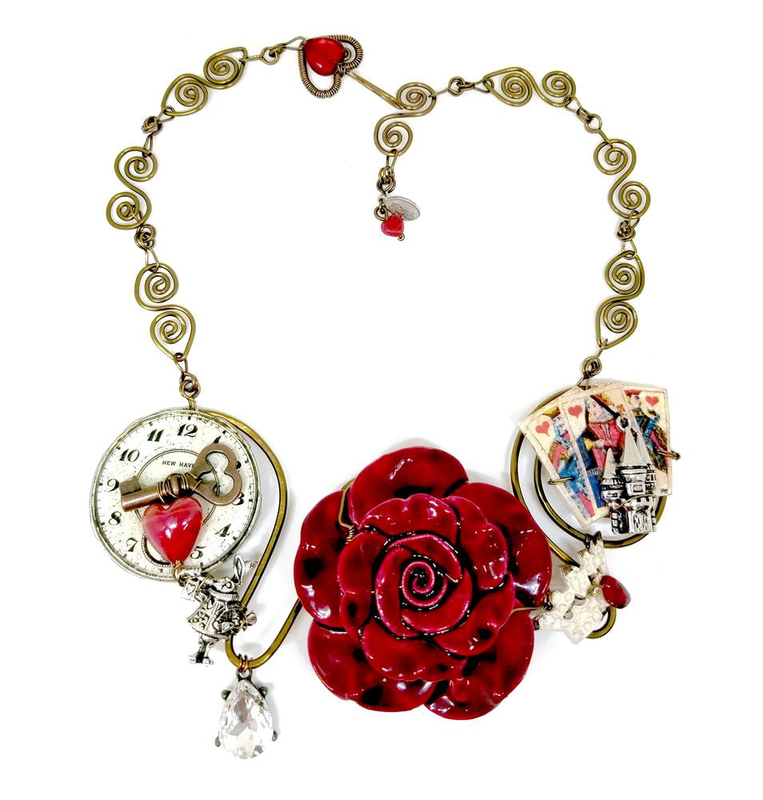 The public is invited to see her newest work and meet Cynthia at Artisans On The Ave on Friday, February 15. 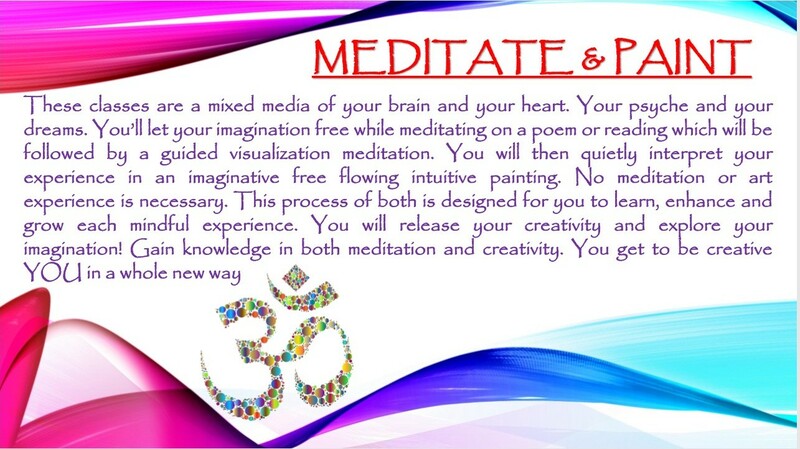 Enjoy the free reception and see why Cynthia’s creations match her passion! The Rickie Report shares the details and some sneak peeks. Cynthia Zmetronak tells The Rickie Report, “I have been working in clay nearly as long as I can remember.” Having a mother who dabbled in clay, and a father who built her first wheel helped nurture her inner mud pie girl. 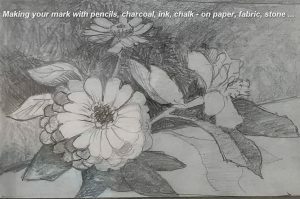 She was also fortunate enough to grow up during a time when art classes (including clay), were part of public education, from elementary school through high school. Her post public school education involved the arts. College provided a clay studio with unlimited access and she was hooked on clay. She then went on to earn a Masters in Art Education and teach in both private and public schools, where clay became an important part of her curriculum. The last few years she has been studying at Penland School of Crafts in North Carolina. 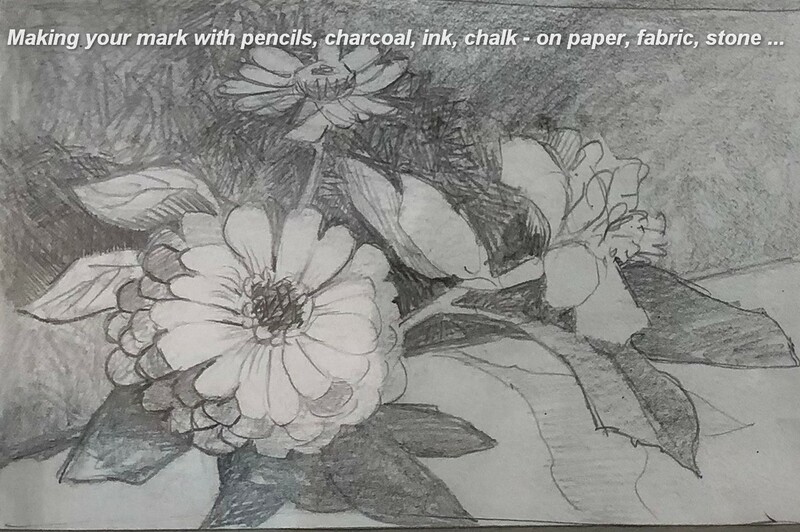 “I chose Penland due to its unique immersive concentration study program and staff of master instructors.” Most of the year I am at my home studio in Parkland, Florida and several weeks of the year (during warmer weather) my new studio in Ontario, Canada. Cynthia is proud to be showing her work at Artisans on the Avenue in Lake Worth, Florida and The Goodyear Cottage Gallery on Jekyll Island, Georgia. Who doesn’t love a mermaid? 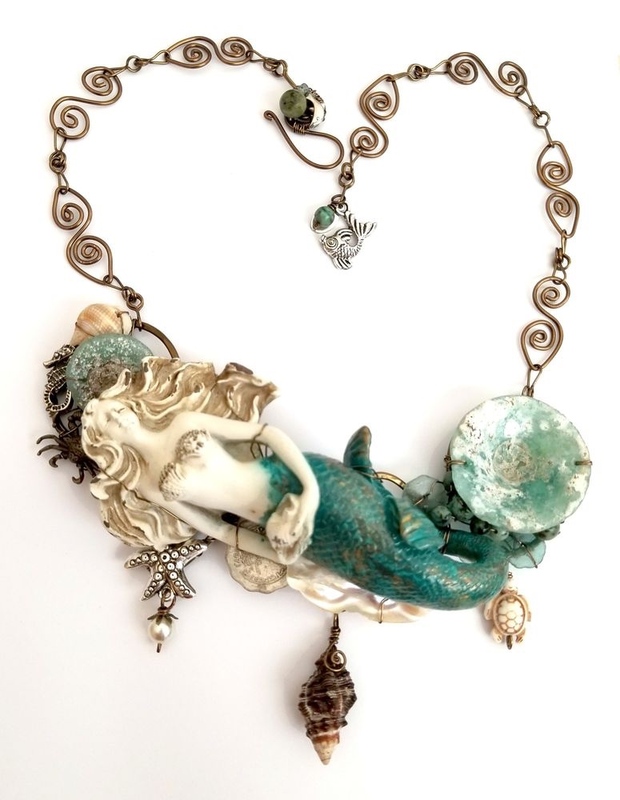 Ceramic artist Tracy Rosof-Petersen will thrill gallery patrons with her charming clay mermaids at Artisans On The Ave on Friday, February 1st. Dabble in the clay yourself, as Tracy gives her hands-on demo! See more of Tracy’s sea-inspired functional and decorative pottery pieces and seashell home décor. The Rickie Report shares the details and some sneak peeks. This event is free and open to the public. Who doesn’t love a mermaid? How much fun would it be to have one hanging by your side? 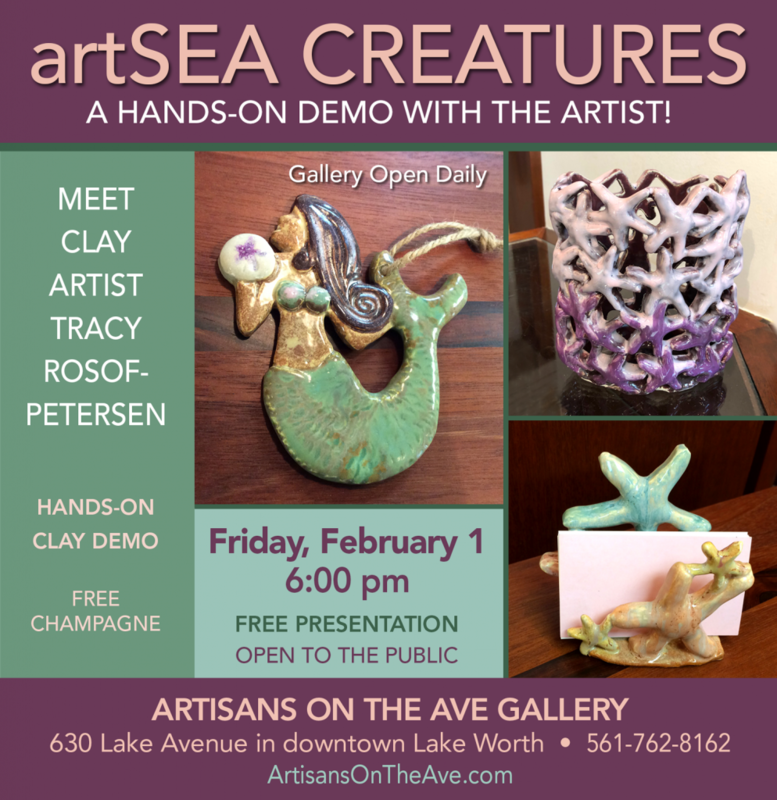 Ceramic artist Tracy Rosof-Petersen will be thrilling gallery patrons with her charming clay mermaids at Artisans on the Ave gallery on Friday, February 1 at 6:00 pm. 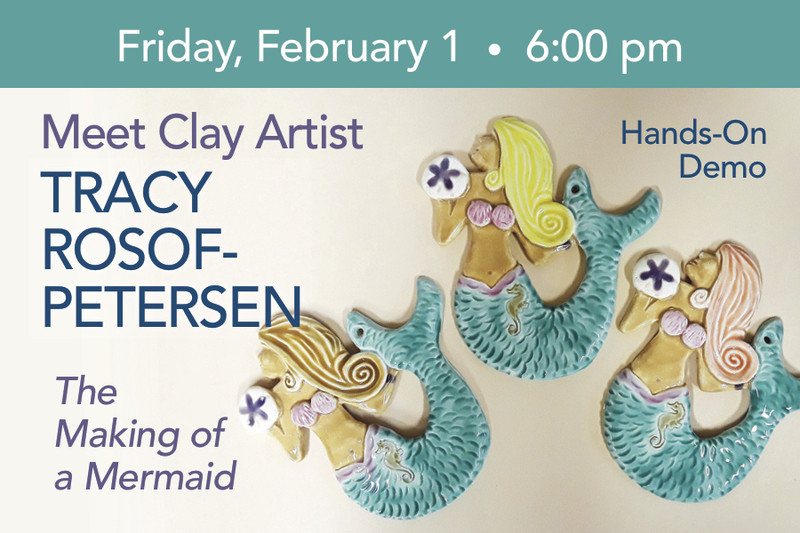 She’ll talk all about how to make adorable clay mermaids using her self-designed mold. You’ll be able to dabble with clay if you choose or just listen and watch as she demonstrates the process of making a mermaid. 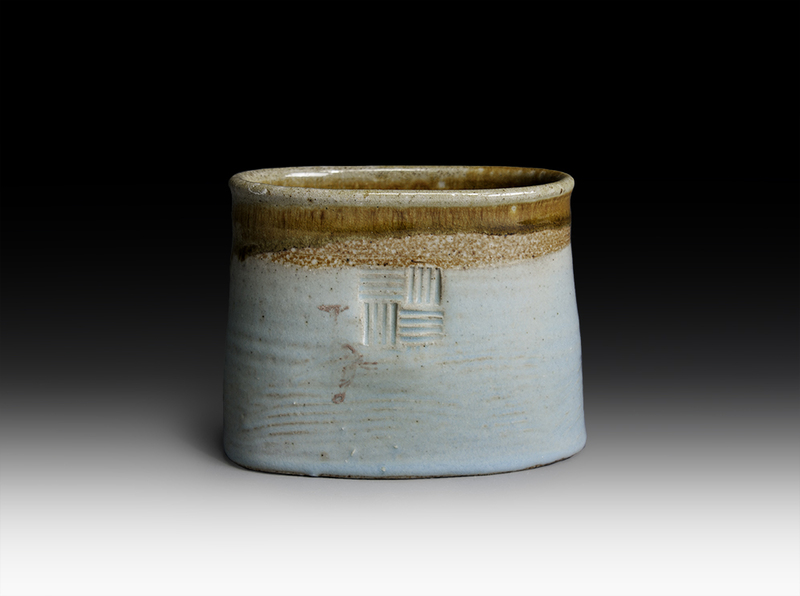 Tracy has been represented by the Gallery since its inception and her pottery is a true treasure to behold. Her work ranges from functional dishes to decorative art pottery to fun sea-inspired mermaids and seashell home décor. Stop by for complimentary refreshments and a lesson in mermaid making that will have you swimming with the best of them. 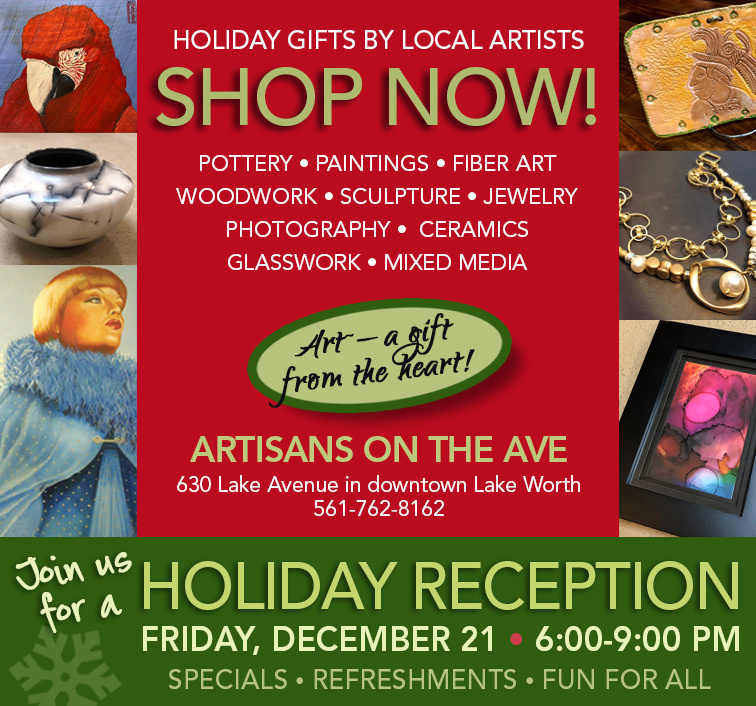 Join in the Holiday Celebration at Artisans On The Ave, Friday, December 21st and enjoy “Art With Heart” from over 40 artists. This free event is open to the public and features hand made decorative and functional gifts for all budgets. Enjoy the refreshments, win a free raffle, and meet the artists! 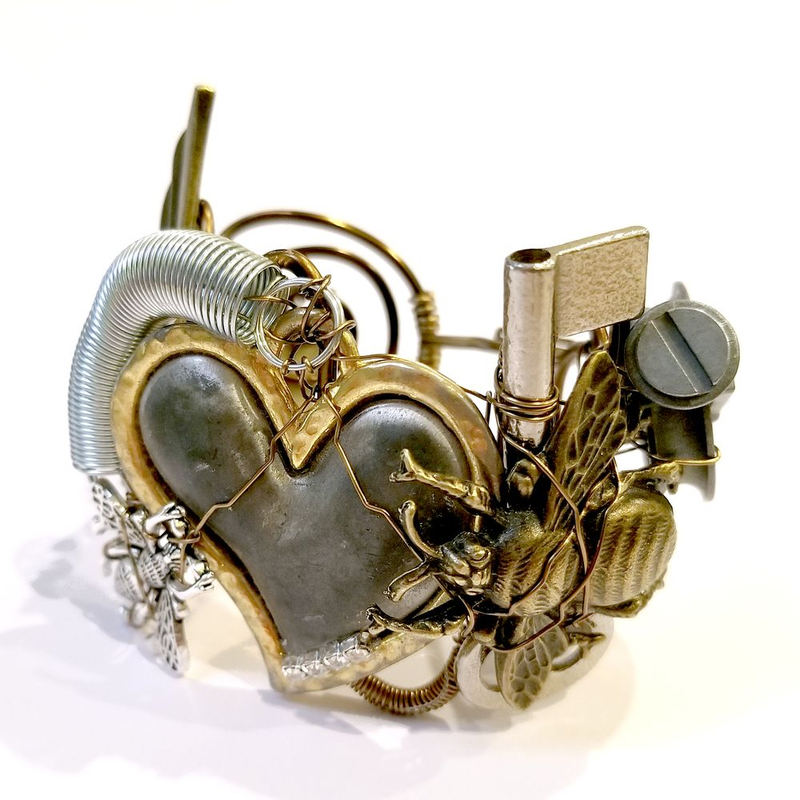 Get your gift list in order, swing by the gallery and shop for Art with Heart. The gift of a one-of-a-kind work of art will be a reminder of the thoughtful person who gave it! The Rickie Report shares the details and some sneak peeks. Please note the new website address for Artisans On The Ave! Tis the season for heartfelt wishes and thoughtful gifts. 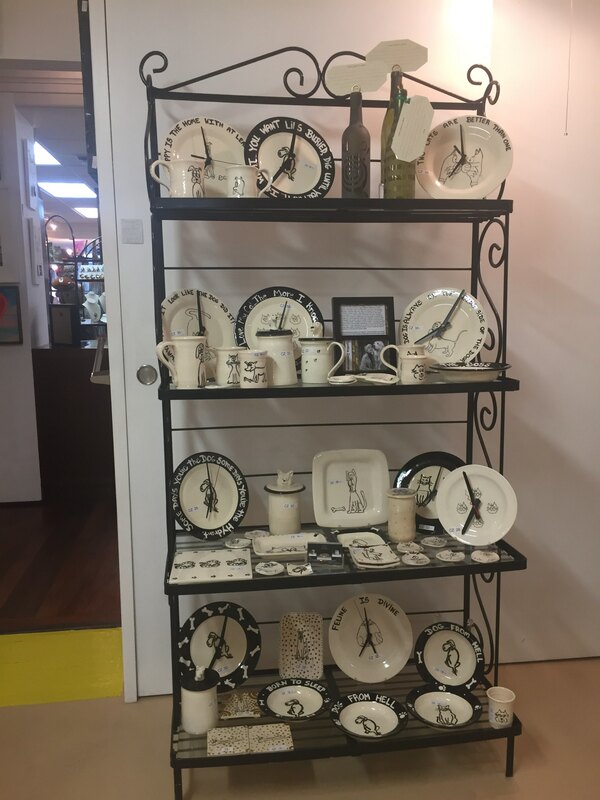 At Artisans on the Ave gallery, they fill the shelves with handcrafted items from 40 local artisans and each artist brings unique talent and creativity to their craft. The gallery has an eclectic collection of artwork to spruce up your home, to use in your every day life, to accessorize your wardrobe or to just simply please the eye. Whether you have a budget fit for a palace or only want a trinket or two, they have something for everyone. 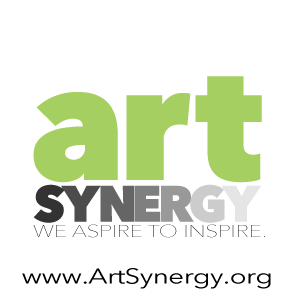 Select from pottery, jewelry, woodwork, glass art, ceramics, fiber art, metal sculpture, paintings, basketry, photography, paper and mixed media. To celebrate this time of year, you’ll find the gallery stocked with ornaments, gifts under $35 and holiday-themed items. On Friday, December 21 from 6-9 pm, the gallery is having a free reception that is open to the public. There will be refreshments, a $10 & Under gift table and plenty of artists to chat with. 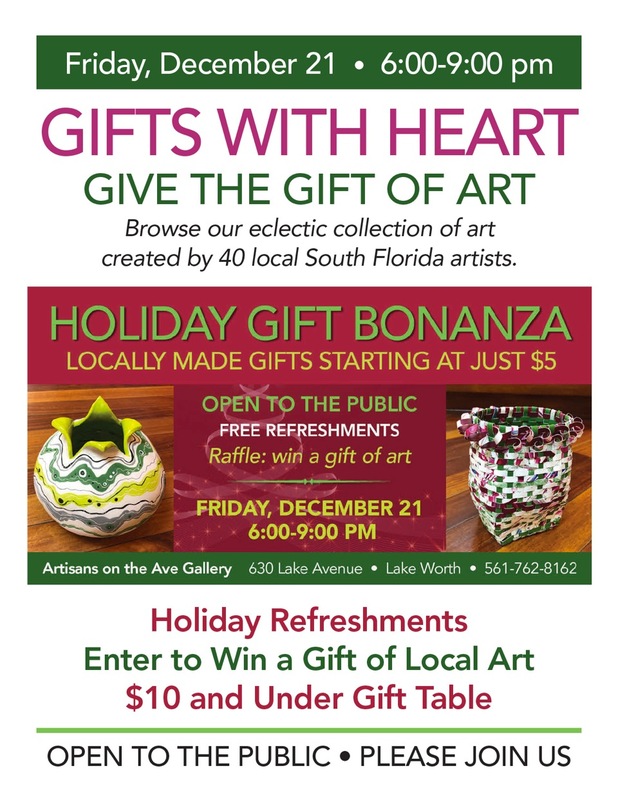 Plus, enter their holiday raffle to win a piece of locally created art! 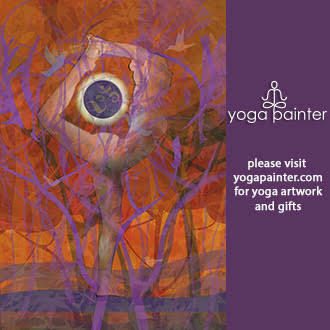 So get your gift list in order, swing by the gallery and shop for art with heart. When you give the gift of art from Artisans on the Ave, you’ll be supporting a professional local artist and your gift-giving ability will surely be noticed. Plus, the one-of-a-kind work of art will certainly be a reminder of the thoughtful person who gave it. 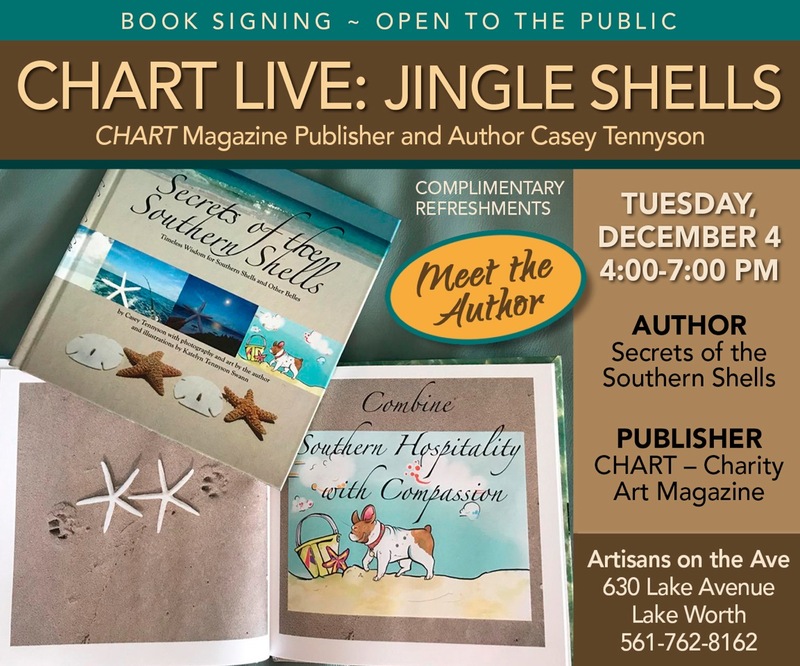 Artisans On The Ave in downtown Lake Worth invites the public to meet author and publisher, Casey Tennyson on Tuesday, December 4th. The Free event includes a book signing of “Secrets of the Southern Shells”, tales of her travels, and refreshments. 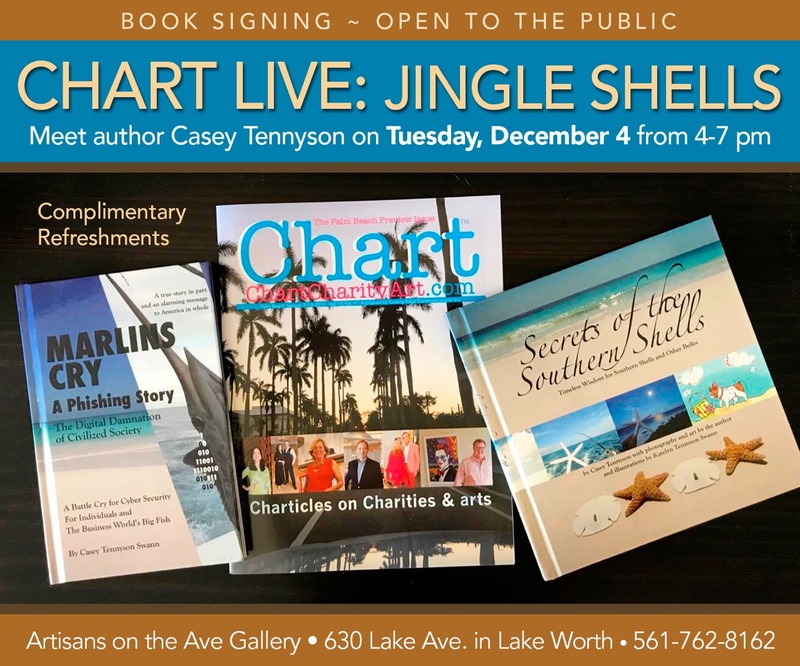 In addition, check out Casey’s latest Palm Beach edition of CHART (ChartCharityArt.com), focusing on local residents and the charities they support. The Rickie Report shares the details and some sneak peeks. Remember – Shop Your Local Small Businesses! Wouldn’t it be clever to match charitable individuals with the arts and see what comes of it? Enter Casey Tennyson and -voila! 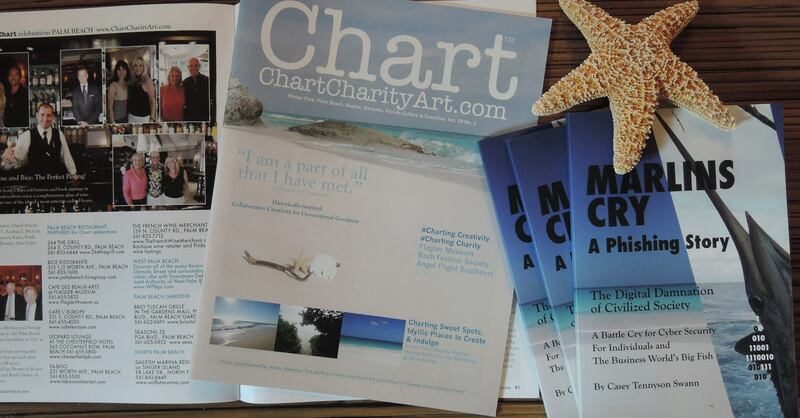 – CHART – Charity Art Magazine is born (ChartCharityArt.com). The publication’s mission is to be a voice for charities and the arts. After ten years of publishing, Casey recently launched an exclusive Palm Beach edition of CHART , featuring “charticles” about local residents, the charities they support and the arts. Casey plans several Chart Live events each year to help promote her publications and get the word out about the wonderful work our locals do. She will be at Artisans on the Ave Gallery to sign her newest book, Secrets of the Southern Shells. This charming book tells the tale of an adventurous starfish experiencing an ever-changing global world. Sprinkled throughout is timeless advice from Southern mothers that has been passed down to their children. Filled with whimsical illustrations and beautiful photography of beaches from Florida to the Caribbean, this perfect holiday gift includes an audio book and CD with songs, and the gift set is available at the signing for $20. She also wrote the 2012 novel, Marlins Cry – A Phishing Story. Focusing on cyber security, the book is packed with tips for cyber safety. So, swing by to meet this prolific woman and hear the interesting tales she can tell. 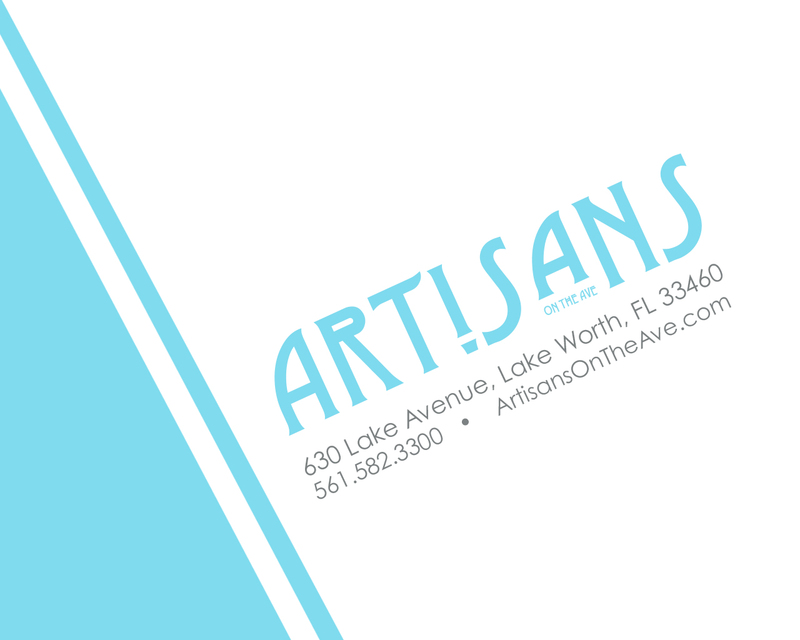 The reception will be from 4:00 to 7:00 pm Tuesday, December 4th at Artisans on the Ave Gallery in downtown Lake Worth. The public is welcome and there will be complimentary wine and refreshments served. Visit our THREE SHOWROOMS and BE AMAZED at the selection exquisite art from 40 ARTISTS! Visit this opening night for an evening fun. Celebrate our wonderful Gallery and enjoy yourself!